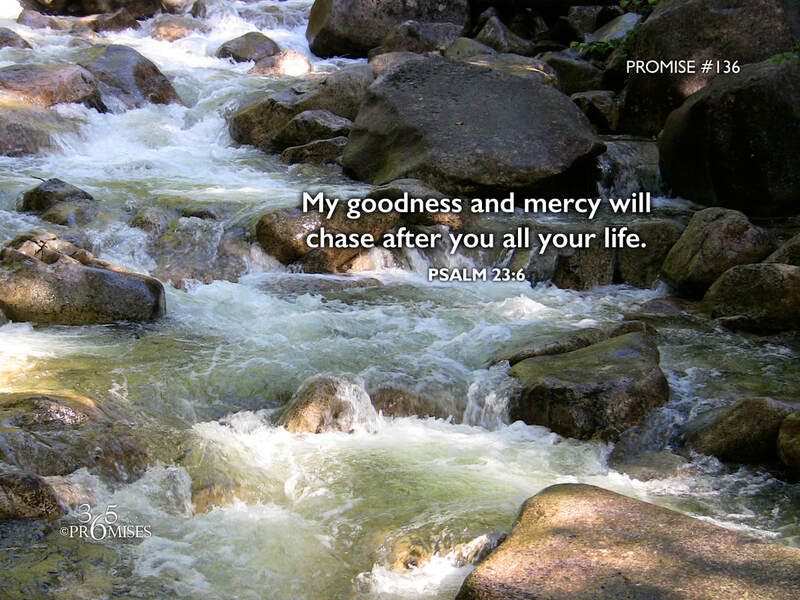 My goodness and mercy will chase after you all your life. and I will dwell in Yahweh’s house forever. The Hebrew word for 'follow' in this Bible verse is pronounced 'radaph'. It means to run after, chase, hunt, or pursue. It is a very descriptive word that King David chose when he declared how goodness and mercy would follow him all the days of his life. Just picture goodness and mercy relentlessly hunting you down all the days of your life. Never stopping, never ceasing in their pursuit of you. This is the blessing that is the inheritance for every son and daughter of the Father of Lights. His goodness and His mercy will run after us, chase us and pursue us... all the days of our life! May the reality of our Father's love and the intensity in which He pursues us become more real today than it has ever been before. God loves you because He is love and He cannot help but love. His love for you is not conditional or based upon your performance. His love is pursuing you and my prayer is that it will overtake and overwhelm you today!